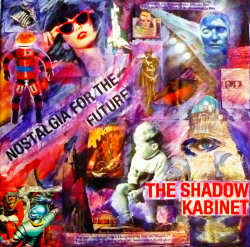 Nostalgia For The Future is the third album from The Shadow Kabinet and in fact Steve Somerset describes it as the end of a trilogy (although not the end of The Shadow Kabinet!). The sound is richer than ever and although only released as a download, the album was professionally mastered. The title track describes the disappointment of a future that never arrived, backed by the finest use of an air raid siren since Bentley Rhythm Ace. Ladder To The Moon is a jazzy Camden Town tale, while Dust Descends as Light propels you into a 6-minute Floyd-esque guitar extravaganza. The themes are as varied as the musical influences, yet this is a true album in the good old fashioned sense, from one of the greatest pop/rock craftsmen that London has to offer. Switch off the X Factor, throw the TV through the nearest window and play this album loud. Released as a super high quality download with digital booklet, including all lyrics. Listen to Steve's own words about the album and some sound clips on the Nostalgia podcast. THIS ALBUM IS NOW AVAILABLE ON A PAY WHAT YOU LIKE BASIS! 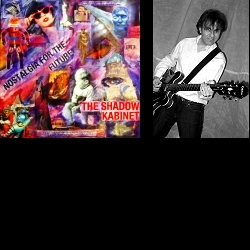 The Nostalgia For The Future HQ download and an autographed photo of Steve. Please see above for a description of the album. It's a photo of Steve and it's autographed! You can even get it signed to your own name. 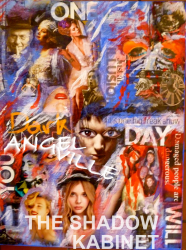 Ladies and gentlemen, I invite you to take a trip out to Angelville. You don't have to get into your car, just download this beauty and get your ears in gear. Angelville is the first single from the forthcoming album Nostalgia For The Future. 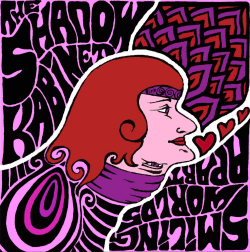 A bolder, darker sound from The Shadow Kabinet that you need to discover. 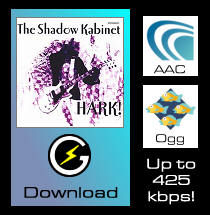 The B-side is the classic Shadow Kabinet gem It's Alright, which was one of the two exclusive tracks on HARK! 2010 and features Dave Gregory from XTC. The download comes with a PDF booklet including the rather funky cover art. The album as described below, autographed by Steve Somerset! Genuine autograph written on the insert. Dispatched from the UK. Smiling Worlds Apart features 19 original songs, all written, performed, arranged and produced by Steve Somerset. From the Helter Skelter mayhem of the title track to the English psychedelic whimsy of 'Just As Lost As Me' this is music that owes as much to Salvador Dali as it does to the Beatles. "If there's a manifesto for the Shadow Kabinet it can be summed up in just one word: melody," says Steve. And there's no shortage of great melodies on this album. 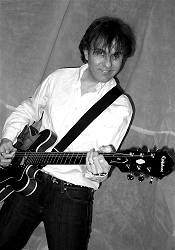 Taking his cue from the great writers of the Golden Age of Pop, like Ray Davies, David Bowie, Lennon and McCartney, Steve creates music that is at once familiar and yet original and innovative. Here's what XTC's Dave Gregory says about the album: "The Shadow Kabinet's best... a scenic, colour drenched trip across Steve Somerset's dreamy universe... all aboard!" There's a sense of fun here too with songs like "Bad Hair Day" and "Tabla Motown", while songs like "When Winter Comes To England" convey a poignant yearning for days gone by. Darius Brubeck: "Kind of reminds me of Lennon, Moody Blues... but new too!" Comes in jewel case with insert. Dispatched from the UK. The Smiling Worlds Apart album (see description of CD) as a digital download incl. front cover art. Enjoy the full richness of the music the way it was meant to sound, thanks to our exceptionally high quality encoding. 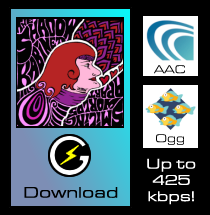 The more a download is compressed, the more detail is lost. We use 30-50% less compression than the major digital music stores. 19 tracks, total file size 162MB (AAC) or 183MB (Ogg Vorbis). 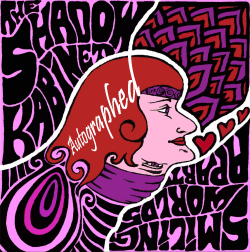 Delivery charges for goods from the The Shadow Kabinet shop vary depending on your location and the goods that you order. Total delivery charges will be shown on the order summary screen before you make payment.